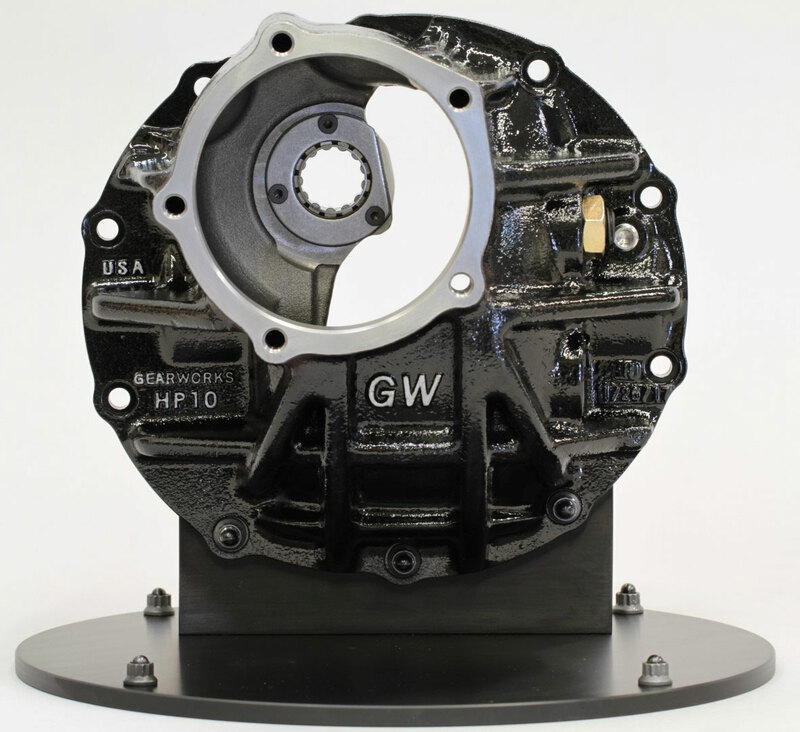 3.250" HP10 High Pinion Case - Gearworks Inc.
Gearworks HP10 3.250″ High Pinion is designed for the highest demand off road applications needing a high pinion front. 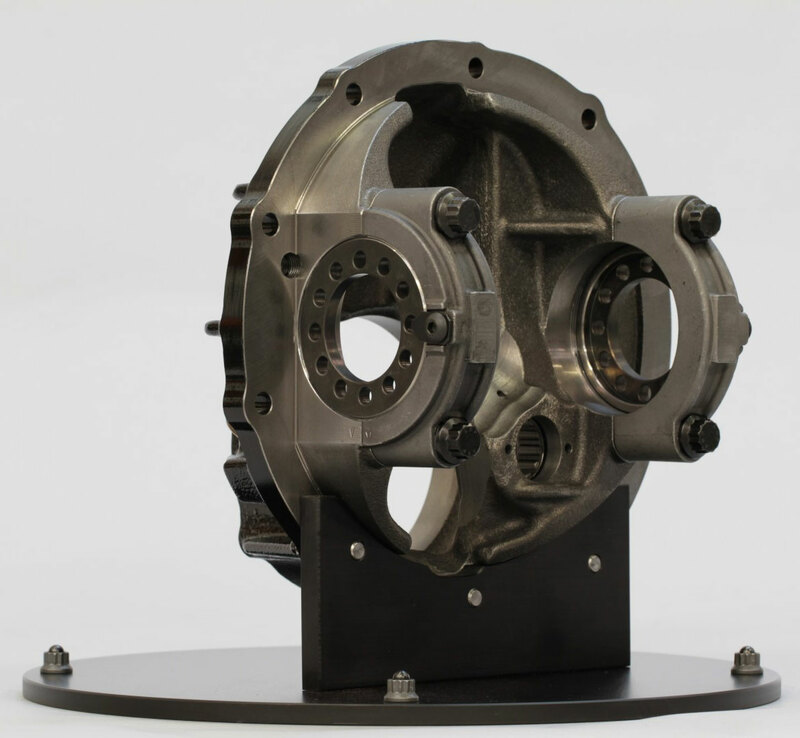 Fitting into standard 9″ housings and utilizing 10″ gears this can be found in a lot of the fastest Ultra4 cars around the world. 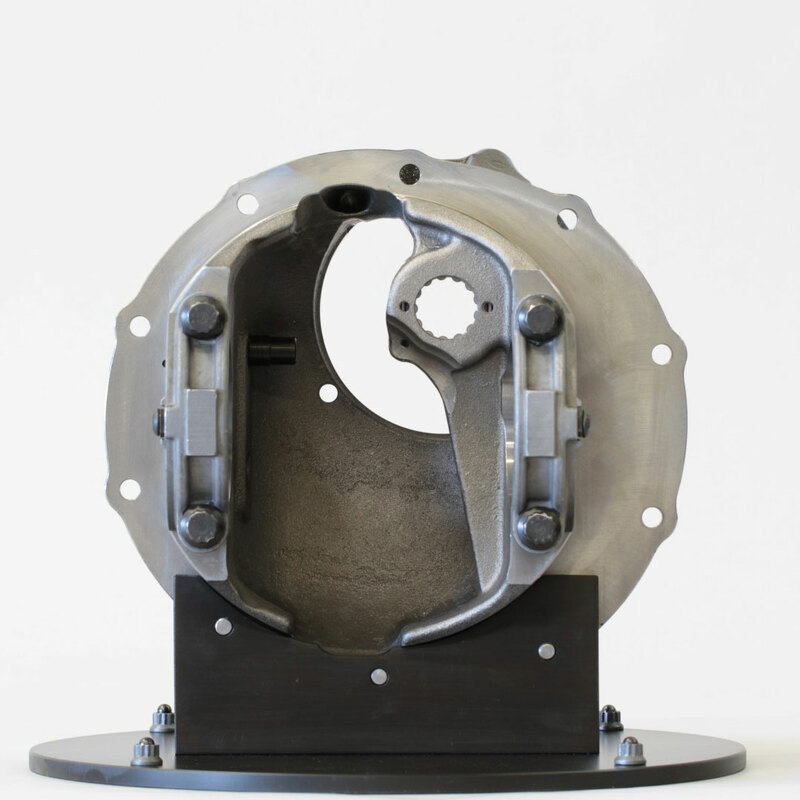 The housing has a extra thick bottom with a smoother face to help slide across rocks and to take a beating. 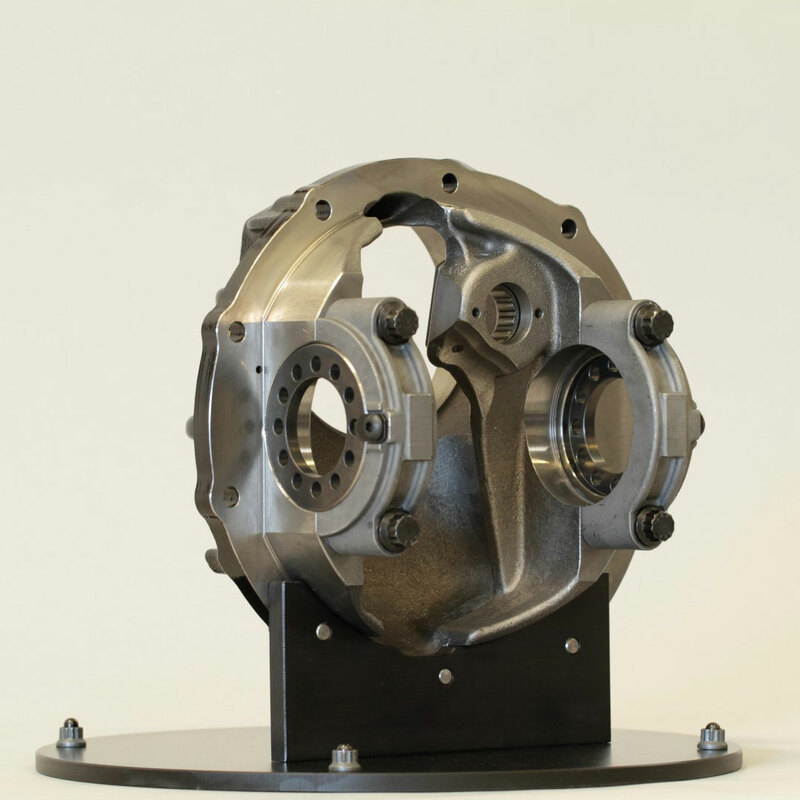 The standard load bolt keeps the ring gear from deflection. 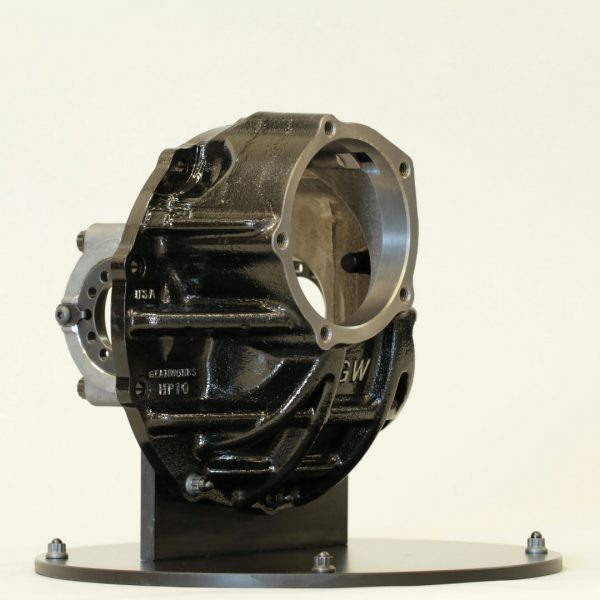 The 5 pinion support bolts are 7/16″ to keep your pinion support tight in the heat of battle. It uses a taller than stock 9″ tail bearing to add load capacity to this already overloaded spot, It is retained by a bolt in retainer plate. The main caps are forged Chromoly with high quality ARP 12 point bolts retaining them. The housing comes already clearance and drilled and tapped for ARB lockers. Gearworks HP10 3.250″ High Pinion is designed for the highest demand off road applications needing a high pinion front.